When it comes to real estate broker credentials, Mike Wentworth has raised the bar. With over 10 years experience in Telluride real estate, and over 25 years experience as a lawyer in Houston and Telluride, Mike is a dedicated and professional real estate broker who specializes in helping others buy and sell in the beautiful Telluride area. For buyers, we use our experience in law and real estate to search for and investigate properties that interest our buyer clients. Then our experience in contracts enables us to present and negotiate offers to our clients’ advantage. Finally, we conduct thorough “due diligence” investigation of the contracted property, either with our buyer’s lawyer or on our own, but always in compliance with the Colorado Bar Association’s ethical guidelines. For sellers, we analyze market trends in an effort to achieve a sale for the best price and within an amount of time consistent with the seller clients’ wishes. After listing a property, we produce outstanding marketing materials on paper, CDs, and on our website, all in an effort to maximize exposure of the property to prospective, qualified buyers. We would be happy to help if you’re dreaming of a spectacular golf course home, a cozy slopeside getaway, a charming home in town, or anything in-between. Or if you’re interested in selling your property in the Telluride region, or simply wondering what it may be worth, please contact Mike. We hope this site provides a useful launching pad for Telluride and real estate opportunities in the area. Please contact us if we can answer any questions about Telluride, logistics of getting here or staying here, local activities, news items and the like. We’ve lived in Telluride for 25 years, so we have a good feel for what’s going on. We’d be happy to visit with you. Mike Wentworth attended the University of Texas in Austin, Texas, and graduated with a Bachelor of Arts degree with honors in 1975. Mike then attended the University of Texas Law School, where he graduated in 1978. Mike practiced law in Houston, Texas, from 1978 until 1993. In 1993, the lure of Telluride became too great, and Mike moved to Telluride with his wife, Jill, and their two children, Hilary and Travis. Mike practiced law in Telluride from 1994 through 2005. In 1995, he secured his Colorado real estate broker's license, and in the ensuing years became more active in real estate sales. In 2006, Mike completed the transition from lawyer to real estate broker by starting Telluride & Mountain Village Properties, a small brokerage firm offering superior and uncompromising services to its clients. Over the years, Mike has been active in the Telluride community. He served as the first president of the Telluride Education Foundation, a non-profit organization formed to assist the Telluride schools with funding for projects outside the school system's ordinary budget, from 1994 to 1996. 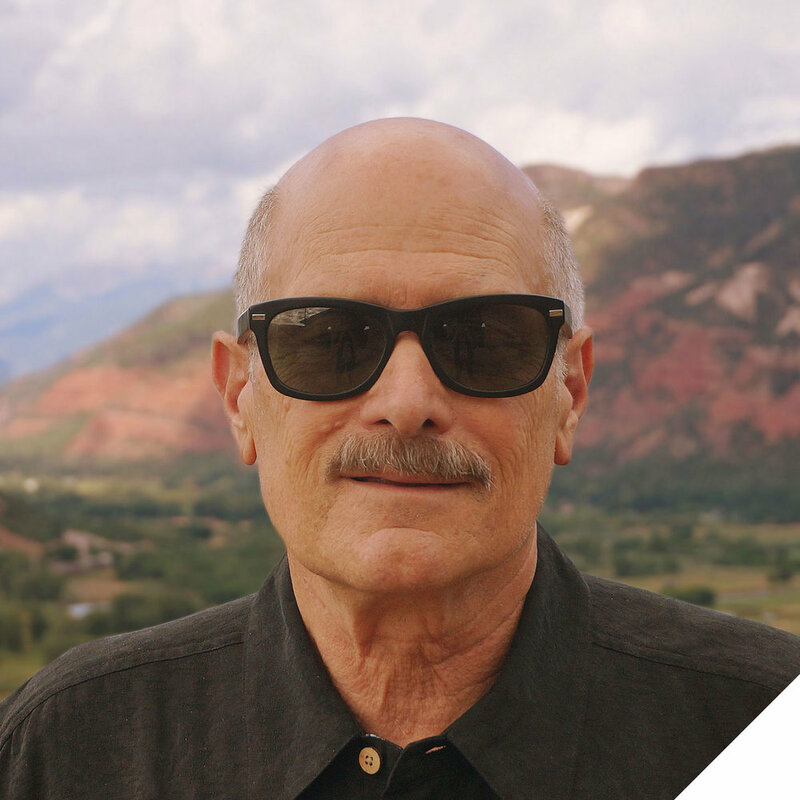 Mike served as pro bono counsel to the San Miguel Educational Fund, the governing body of KOTO-FM, Telluride’s much beloved community radio station. Mike was also active in youth sports, coaching Town of Telluride teams in girls' softball and boys' baseball, and the Telluride Middle School boys' basketball team. Mike and Jill have lived in the historic Town of Telluride since 1995. With fifty years of experience in every aspect of real estate, including sales, development, construction management, mechanical design, and vacation and property management, Telluride real estate broker Steve’s vast knowledge of the entire real estate industry makes him the professional of choice for the savvy real estate investor. Whether you are buying or selling condominiums, vacation homes or mesa properties in or around Telluride, Steve’s exhaustive knowledge of the ins and outs of the Telluride real estate market will help you recognize the perfect real estate opportunity, make informed choices, and expedite the realization of your goal. For the smart real estate investor, there are tremendous opportunities in real estate today, and finding that opportunity will be easy with a most valuable professional, such as Steve, at your side. Prior to settling in Telluride in 1992, Steve owned and operated one of Long Island’s largest multi-branch wholesale plumbing and heating distribution firms, serving primarily residential markets in Long Island, New York City, New Jersey, and southern Connecticut. By 1972, Steve and his partners expanded into real estate sales and development. Steve’s completed projects included a subdivision of custom vacation homes in Killington, Vermont, three high rise buildings in Stamford, Connecticut, a 180 home development on Long Island’s south shore, and various custom homes on Long Island’s east end. Captivated with Telluride, Steve and his wife Janie, sold their New York businesses and moved to Telluride, where Steve put his lifetime of experience to good use. Steve created and marketed the beautiful Gold Dust Crossing, a multi-use commercial and residential building at the entrance to the Historic Depot community, and subsequently served on the development team of The River Club, also in the Depot community. For years, Steve has volunteered his time and expertise by serving his community on numerous Homeowner Boards of Directors. In 1996, Steve and Janie founded Telluride’s premier vacation and property management company, Accommodations in Telluride. After selling the business to capable locals in 2004, Steve decided to use his vast knowledge of the resort real estate market to help others who have been bitten by the Telluride bug to fulfill their dream! Steve can often be seen hiking the trails surrounding Telluride with his canine companion, rescue dog Shay. Steve’s passions are many, including his devotion to his family and beautiful grandchildren, skiing or sailing the open seas. But Steve’s greatest passion of all is sharing the thrill of the great outdoors with those less fortunate than himself. He has served tirelessly for over twenty years on the Board of Directors of the Telluride Adaptive Sports Program and teaches disabled athletes as well. For Steve, helping physically, emotionally, or cognitively challenged skiers and equestrians experience the freedom movement is the greatest thrill of all! Steve’s passion for the Telluride community is contagious. His goal is to share his phenomenal knowledge of the Telluride real estate market with his clients and assist them in finding a perfect piece of this mountain paradise. Contact Steve to begin your journey. © 2018 Telluride & Mountain Village Properties All rights reserved.